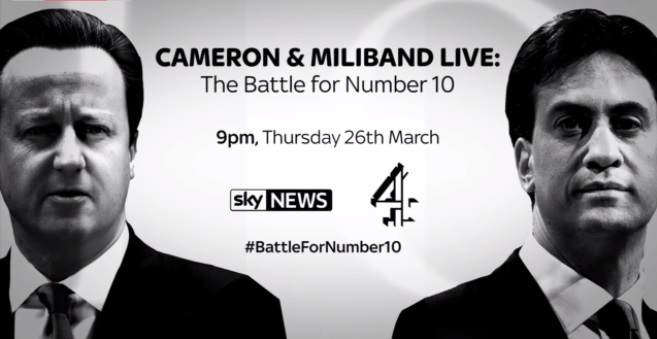 Tonight saw the first of the TV specials between the political party leaders in the run-up to the General Election. It was Cameron and Miliband who took centre stage in an interview with Jeremy Paxman, followed by a question and answer session with a live studio audience. Attention first turned to the issue of food banks and the fact that they’ve risen in popularity massively since the Conservatives came into power. 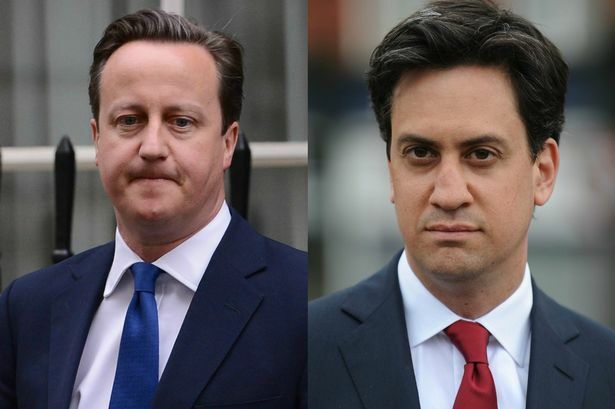 Cameron attempted to turn the tables on Labour, stating it’s a result of the mess they created. He also added that a number of jobs have been created. Resultantly, Paxman highlighted the fact that 7000 people were on zero hours contracts. Cameron ducked and dived from question of whether he could live on a zero hours contracts for a while, before eventually admitting he couldn’t. Cameron constantly badgered on about how it’s good for students, but realistically there’s many other people in society who are suffering under zero hours contracts. Paxman then turned ‘personal’ about how he defends a multitude of rich people he defends (such as Jeremy Clarkson or those involved in tax avoidance). He defended himself by protesting he followed the normal procedure in the proper fashion. He also downplayed his comments about Jeremy Clarkson. Paxman raised the issue of his pledge not to raise VAT, and the fact that they had broken their promise before the last election. Cameron reiterated his stance from PMQs that he and the Government have the chance to carefully consider the finances for the next Parliament and therefore are in a position this time to make a more informed decision. He highlighted the fact that the Coalition inherited an ‘appalling’ economy and they have no fixed the economy. The £12bn of cuts from welfare will be funded by freezing some benefits. He dodged the question slightly about how most of the cuts will be funded. He stated that they managed to save £20bn in the current Parliament and will be able to find a further £10bn in the next Parliament. Cameron was asked what his biggest foreign policy disaster had been. He started by stating the successes such as dealing with the Greece situation. However, the difficult situation of Libya was highlighted. He doesn’t accept that the Libyan people were left about the initial help. He highlights they’ve assisted with aids and training the army. Unsurprisingly, the European Union was a topic he was quizzed on. Cameron stated that the current membership needs to be improved through trade cooperation, but the current system is not working. Allowing a referendum in 2017 would only come from the Tories, no other party would offer this. Twitter reaction: Very mixed. Some praised Cameron for holding well against a tough grilling from Paxman, but others were unimpressed at the fact he didn’t directly answer all of his questions. Others thought Cameron was quite weak and overwhelmed in the interview with Paxman. The Q+A session with the audience seemed to go much better for Cameron than the interview. He calmly answered all of their questions and the audience seemed mostly content with the answers. However, he seemed to lack detail for most of his answers. The interview began with a grilling about Labour’s record on immigration and how this policy has changed since their time in power. When asked whether the country was too full, Miliband did not agree. He also refused to engage into hypothetical situations which Paxman posed and wanted to instead speak about his policy. He came across quite well in my opinion during this section initially, however, as Paxman ridiculed him, he began to make up his own questions. Accordingly, Paxman asked about the previous Labour Government’s other mistakes. Miliband responded with the fact that the welfare gap had massively increased. He was repeatedly asked whether the Government spend too much, however, Miliband struggled to answer the question and provide details. The two also clashed horns over the problems of wages and unemployment. Miliband criticised the Conservatives’ record of causing wages to drop below the level from when the entered into power. Miliband was asked what cuts a Labour Government would make if they won the General Election. He gave a long list of areas including Education and Health. More specifically, the winter fuel allowance for pensioners with higher rates of income, through more efficient running of the police and local government (i.e. restricting Child Benefit to 1%). Miliband distinguished himself from Tony Blair by highlighting his policies on actually giving the areas which he would be making cuts before an election. Miliband added that overall spending would ‘likely’ to fall – something criticised by Paxman for his choice of words. Miliband was challenged on the issue of mansion tax and the comments of the Scottish Labour leader (who stated it was a method of taking money from South England and giving it to Scotland). Miliband was slightly taken aback by this. He argued that the distribution was ‘consequential’ as a result of their being a United Kingdom. Whether it was Newcastle, London or elsewhere the money would be spent equally. Further challenged on Scotland and the SNP, Miliband stated he would not agree to most of the Scottish demands. Miliband argued back to Paxman and stated he could not suggest Labour would not achieve an overall majority because the election was still 6 weeks away. Miliband was challenged on his personal qualities of being a leader. He used the example of ‘standing up’ to Barack Obama during the Libya situation in Summer 2013. He was cautious over the past problems in the Iraq War and did not want to make the same mistakes. Next, he was challenged upon how he was harmful to his party. Miliband dismissed his line of questioning for being unaware about other people’s comments. Once again, he was challenged upon the fact that people preferred his brother. He once again reiterated the fact that he was the right man for the job. Twitter reaction: Miliband really fought back against Paxman against some really tough questioning. A lot of people gave him props for holding strong against the personal questioning. A small minority thought Miliband was a little too flustered at points and others even thought he came across too hard in response to Paxman. So mostly positive for the interview, but a huge variety of opinions. The Q+A session with the audience seemed quite mixed for Miliband. He was certainly given a much harder time by both the audience and the presenter. He dealt with some of the questions well, however, I think he seemed quite flustered at points and buckled under the pressure.